It’s Already Starting! | HHHTA – Half Hollow Hills Teachers Association | Love what you do. We knew this would happen. Anti-union organizations have been waiting for this opportunity for decades. By now, many of you have already seen solicitations from organizations like the Mackinac Center for Public Policy, the Right to Work Foundation and the Freedom Foundation. Emails from Mackinac, in particular, have been hitting school email accounts throughout the state. As I said yesterday... this case had NOTHING to do with freedom or the First Amendment. These strangers from other parts of the country are NOT trying to help you or your colleagues. They are trying to break our unions, and it is NOT because they think you will be better off. Please immediately UNSUBSCRIBE to ANY and ALL emails you get from such organizations. Also as a reminder, if they COME TO YOUR DOOR (and they very well might), SEND THEM PACKING! 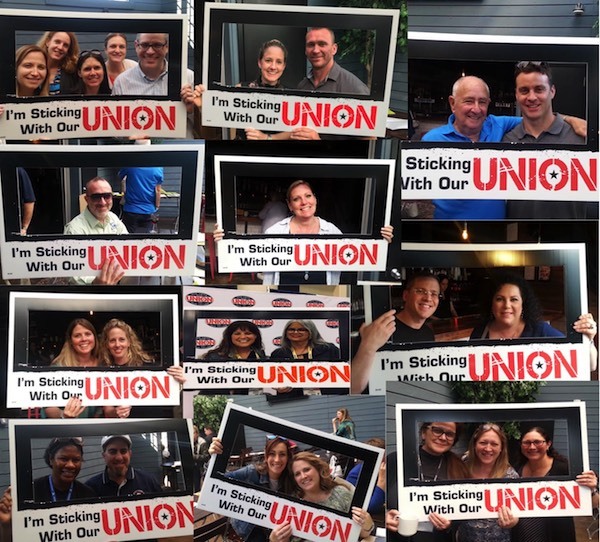 TELL THEM YOU'RE STICKING WITH THE UNION!